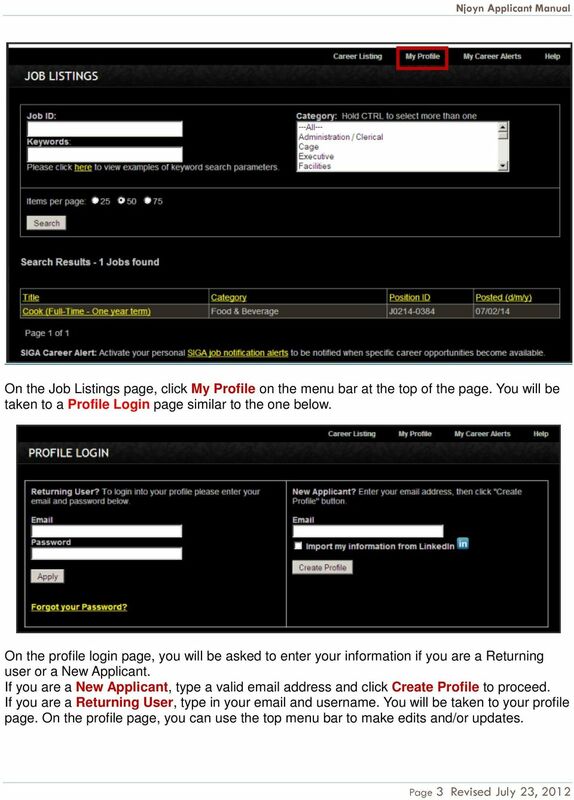 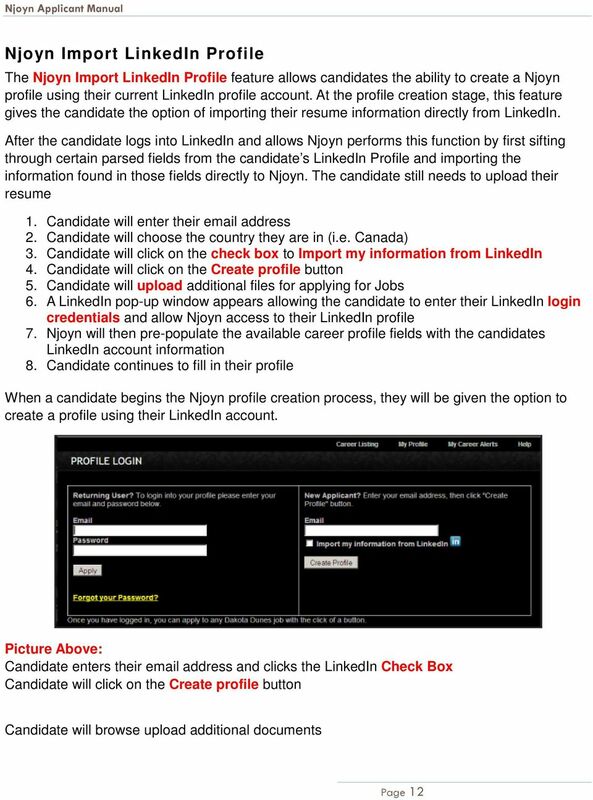 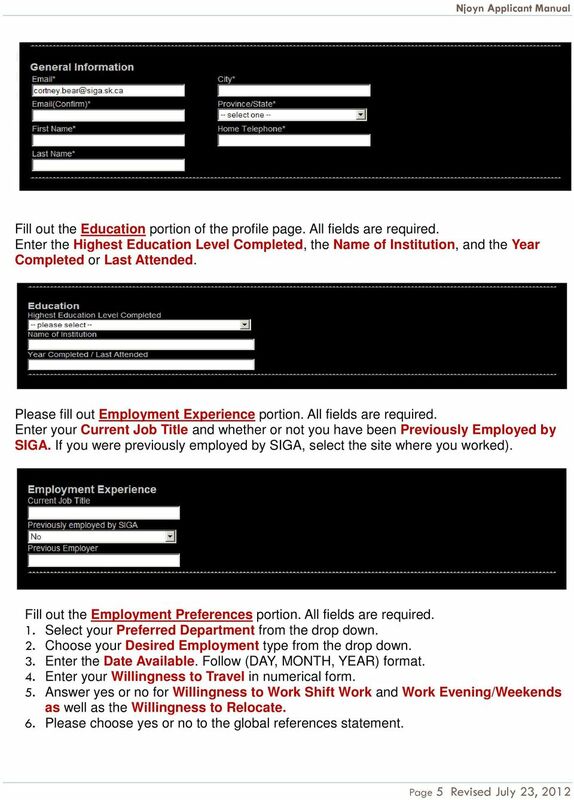 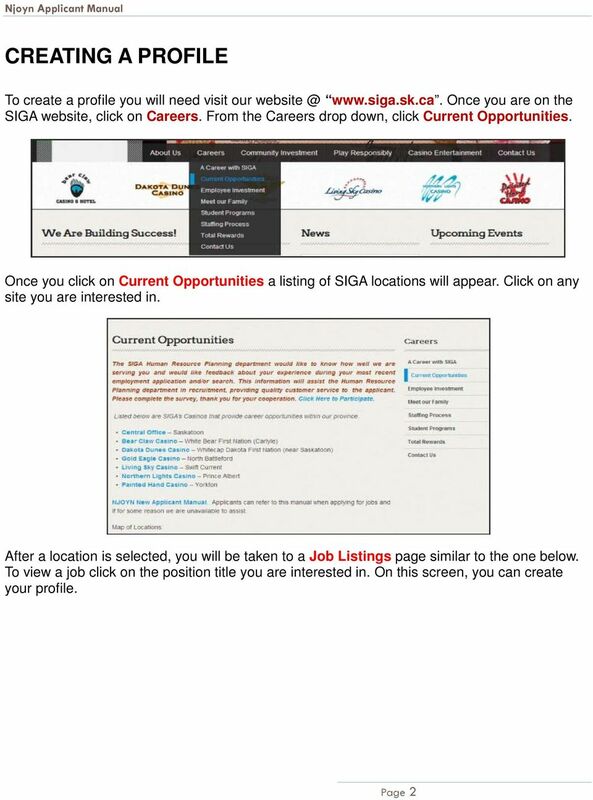 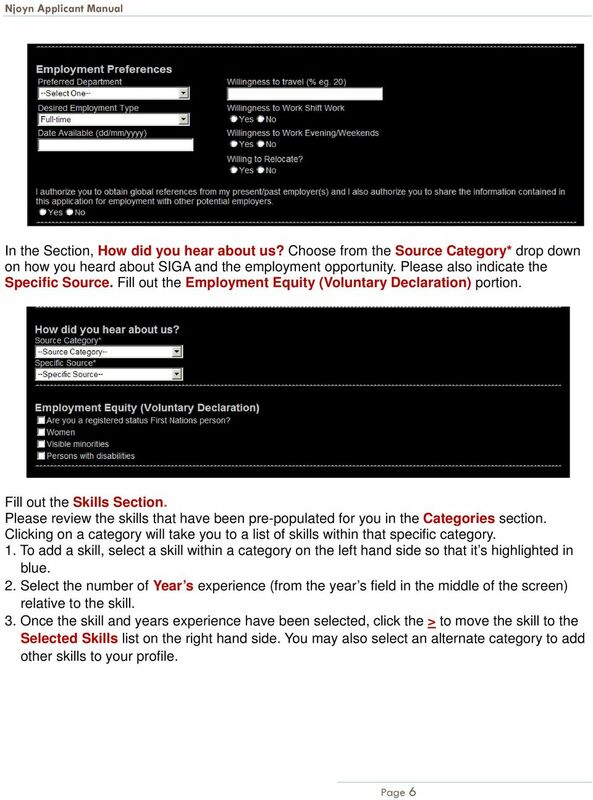 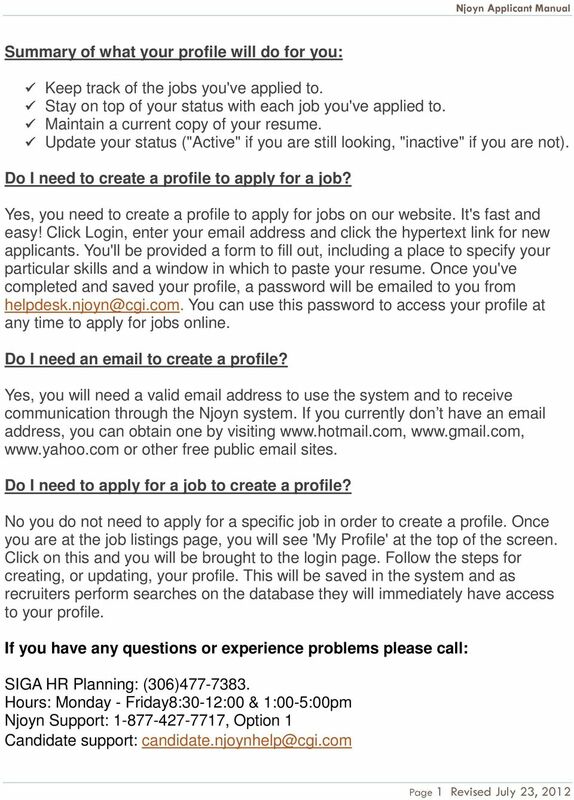 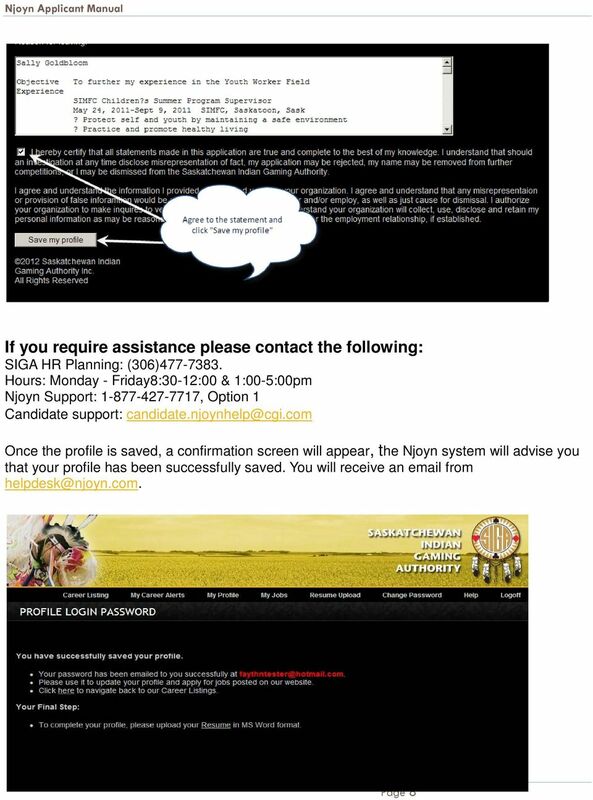 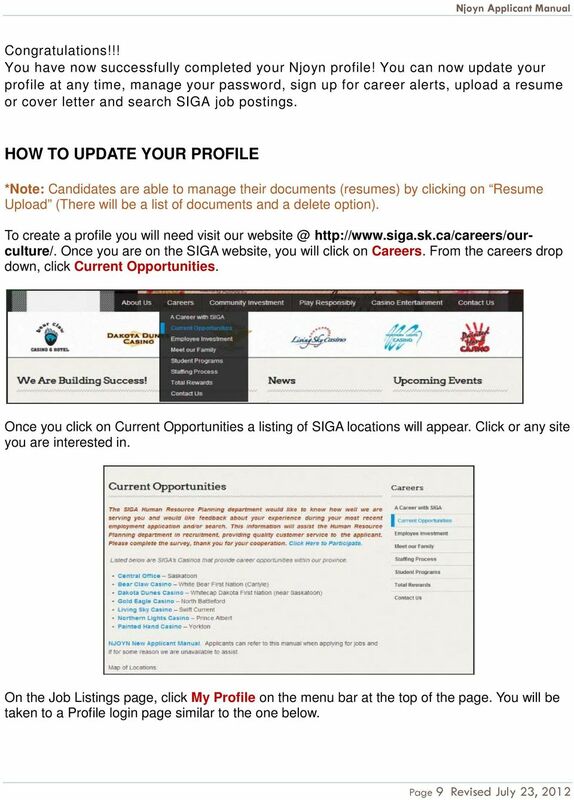 1 NJOYN APPLICANT MANUAL 2/21/2014 Applicants A step by step guide on how to use the Njoyn system to apply for a position with SIGA. 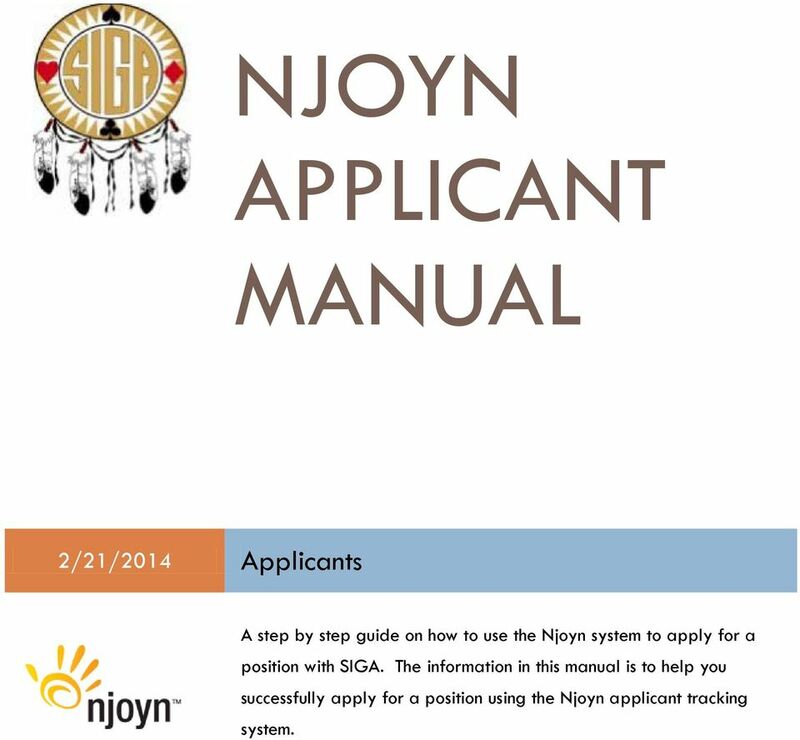 The information in this manual is to help you successfully apply for a position using the Njoyn applicant tracking system. 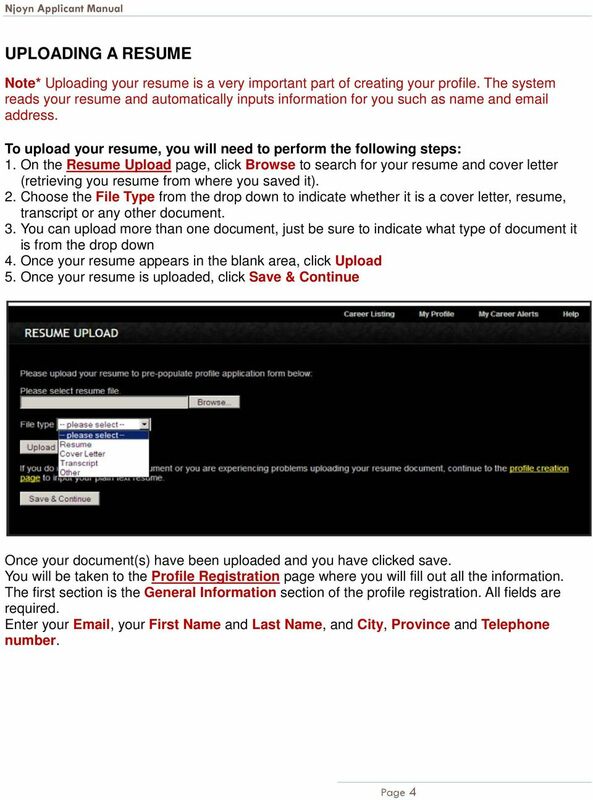 E-RECRUITMENT How to apply online for a Yukon government job This is a guide to help job seekers use the Yukon Government s E-Recruitment system, an online system for posting jobs and processing job applications. 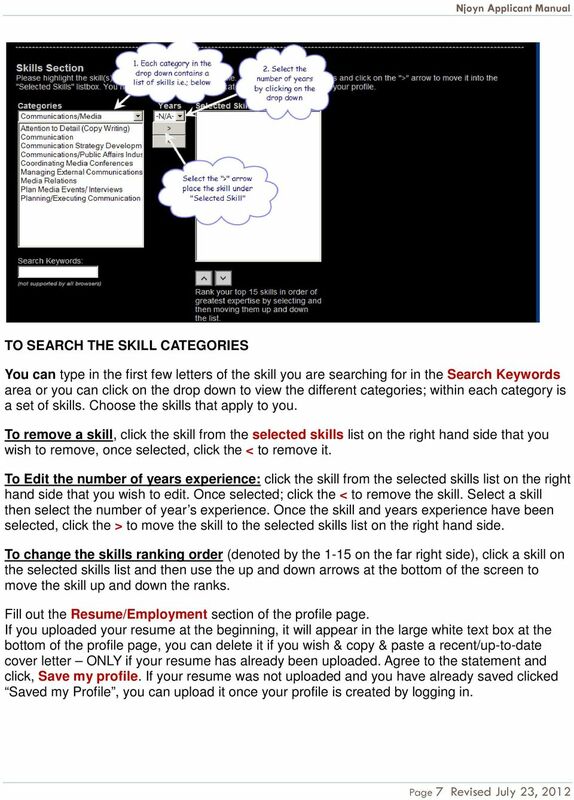 Module 1 Getting Started Introduction Talent Connect Job Seeker User Guide The goal of the Pure Michigan Talent Connect website is to provide a centralized location for Employers and Job Seekers to connect. 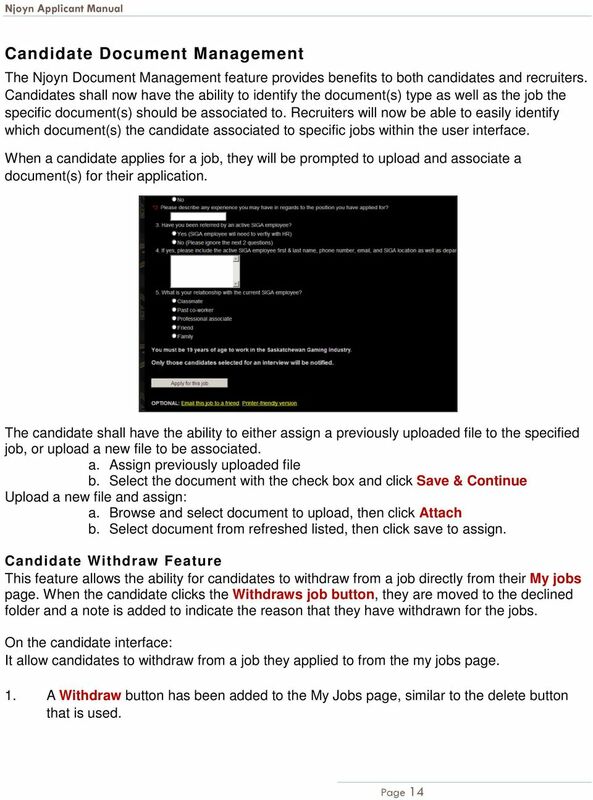 What web browsers are compatible with LHSC s online recruitment system? 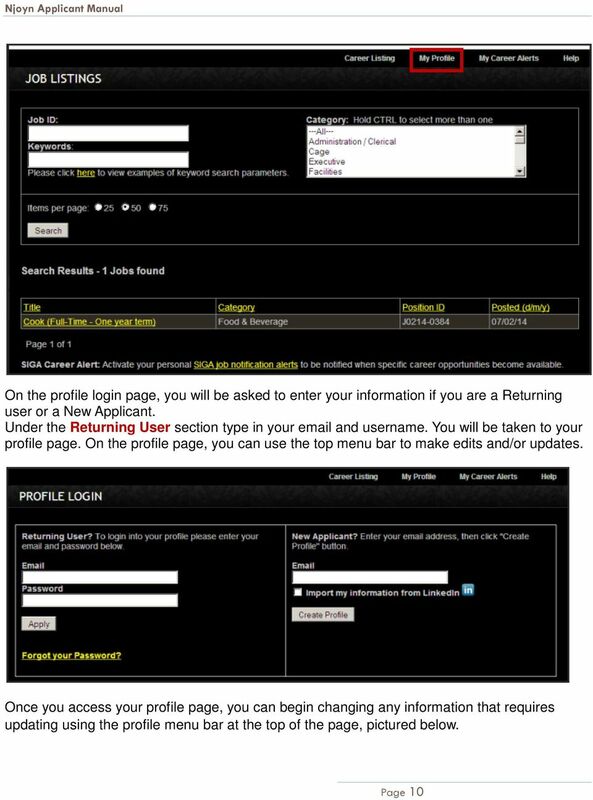 I am a new user of the site, how do I navigate my way around? 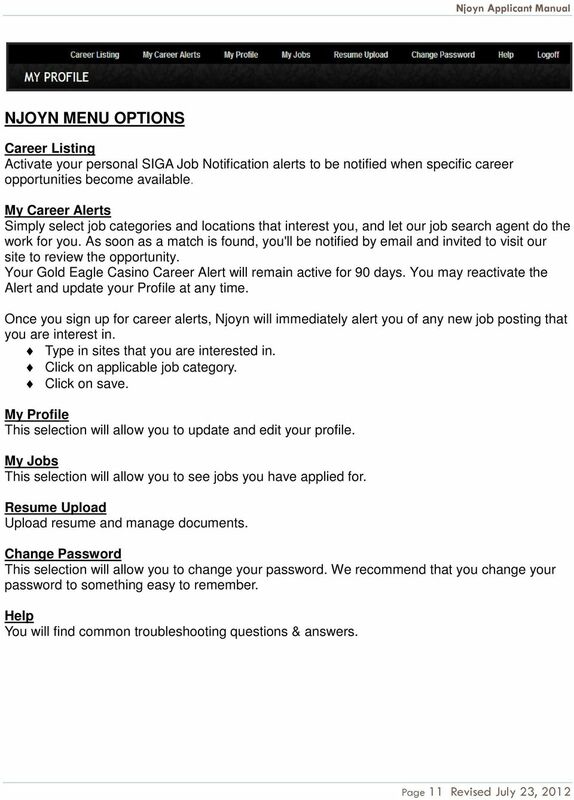 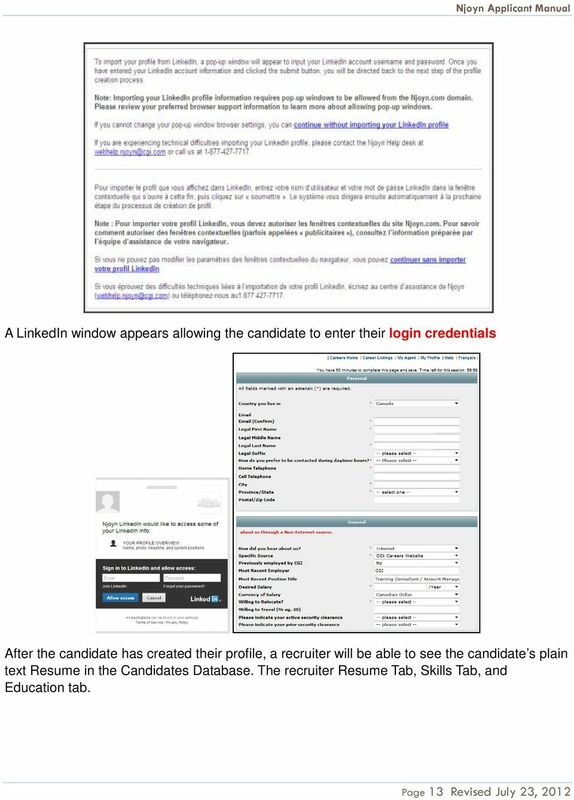 Applying for State of Montana Jobs This user guide will answer many questions regarding applying for a job on the State of Montana Careers site.